Darrell Griffin, a staff sergeant in the US Army, shared with journalist Alex Kingsbury photos from his time in Iraq. Weeks later, Darrell was killed in combat. Alex flew to his funeral and gave copies of the photos to Darrell’s father. He wanted people to know what happened in Baghdad, and so I agreed to carry his pictures home. NEVER ASK A SOLDIER what it feels like to kill someone. That’s one of the unwritten rules of war reporting. I broke it on my first trip to a war zone. 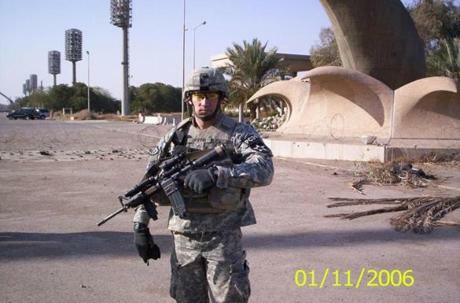 I was 25 years old in Baghdad in 2007 during the opening days of the “surge,” a military operation designed to stabilize Iraq enough for the United States to declare victory and go home. I was an editor at U.S. News & World Report. I’d bought a digital watch before leaving Washington, D.C., because my editor told me I would need it to keep track of where I was supposed to be. The watch was one of many things in Iraq that I didn’t understand. 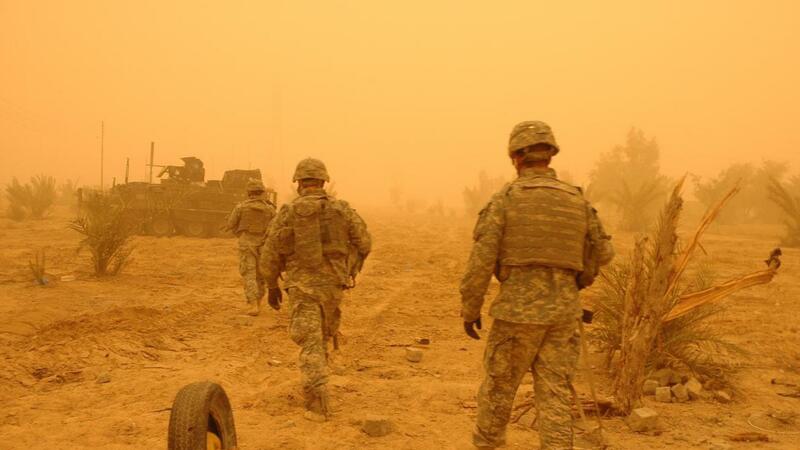 Embedded with a platoon of soldiers, I was sleeping in a cavernous tent, on a base in the desert, when the watch alarm went off — at 2 a.m. A lot of soldiers woke up, furious because they had a mission in a few hours. Fumbling to stop the alarm, I kept hitting snooze instead. So every 10 minutes it would start beeping again. “[Expletive] reporters!” I heard from somewhere deep in the tent. One of the guys who had a good laugh at this was Darrell Griffin, who occupied the cot across the tent from me. He had a lot of books with him. He was chatty. He said he’d killed eight people. Darrell was a popular guy. Big muscles. Cool shades. Smoked a cigar. Quoted Kant and Thucydides. You know, just a regular grunt. I asked to see his photos. “I’ve been waiting for someone to ask me that,” he said. There were lots of them. Photos of soldiers smiling. Iraqis smiling. Bases. Vehicles. Villages. Battles. Photos of bombs that didn’t go off. And then there were the awful pictures. Dead people. Parts of dead people. Soldiers posing with their slain enemies. One folder of Darrell’s photos was named “close calls.” Another was named “kills for Mosul.” He had organized the chaos of war into folders: his own Dewey Decimal System of death. Darrell asked if I would copy the pictures and take them back home, to show people what the war was like. I said yes, because that’s what reporters do. We filter stories for public consumption and take out all the swear words. An overdose. A hurricane. The bombing of a marathon. A shooting at a synagogue. 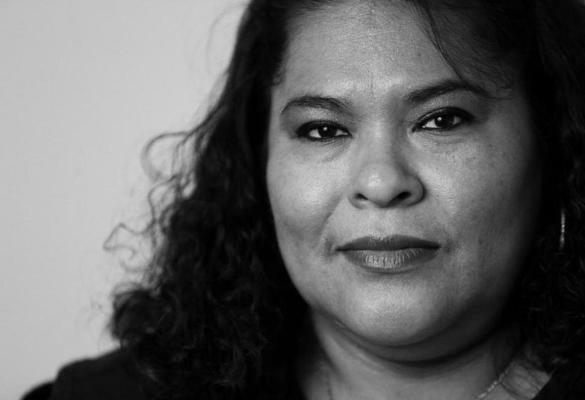 The people who tell those stories are not immune to the effects of marinating in misery. But we do get lots of practice. And we hope it serves a higher purpose. Every now and then, things get stuck in the filter. Darrell Griffin was a popular guy. Big muscles. Cool shades. Smoked a cigar. Quoted Kant and Thucydides. I wrote up the story of Darrell’s digital photo collection and sent it back to my editors in Washington. They weren’t interested. So I wrote about other things — battles and raids and what it was like to wake up to incoming mortar fire. A few weeks later, I was back in Washington. And the war went on, because that’s what wars do. One morning, I got an e-mail from a soldier in Darrell’s unit. 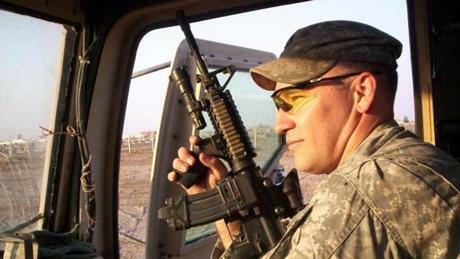 Darrell Griffin had been shot and killed in Baghdad as he was riding in the open hatch of an armored vehicle. I read that e-mail a dozen times. And then I went back to work. But they were still there on my computer, where they remain more than a decade later. They don’t age. They don’t fade. Now they’re also in the cloud. Sometimes when I’m searching through Google Photos for a picture of a vacation or a birthday, they’ll pop up in the search results, like that Facebook feature that says, “On this day in 2007. . .” It’s like having little threads of someone else’s memories tangled up with your own. Some Iraqis photographed by Darrell Griffin. 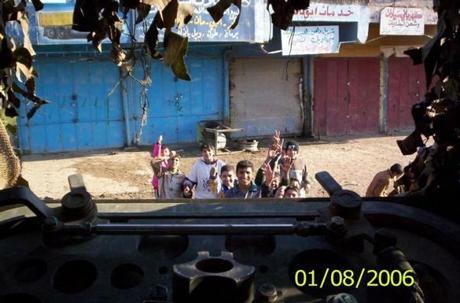 SOMETIMES PEOPLE ASK to see the Iraq photos. Some have asked to never see them. I can’t blame them. When my grandfather came back home to Wayland after World War II, he had about a dozen photos from his entire service in the Navy. He kept them in a box up in the attic. Now, soldiers and civilians are taking war photos by the terabyte. And they’re not tucked away in shoe boxes. They’re always a few clicks away on their smartphones. An intimacy with war in the palm of your hand. Listening. Empathizing. Building rapport. Winning trust and using it. That’s how they teach journalists to dive into a story. What they don’t teach you is how to get out of a story. After I’d rotated out of Iraq that first time, while I was sitting in Kuwait, I wrote to one of my old journalism professors and told him, “My computer feels a hundred pounds heavier carrying thousands of these pics back.” And for a long time, holding onto these photos did feel like a great weight to carry around. One day, they became just part of a stream of ghastly images that the world sees all the time. Gas attacks in Syria. Refugee corpses on a beach. A massacre in Las Vegas. We’ve grown accustomed to seeing violence and its consequences on our smartphones. People can see what war is like, if they want. They can even watch it live. That’s what Darrell was looking for: to have his experience talked about, listened to, seen, and shared. Told with enough fidelity to carry some of its truth. I’d like to think that I’m honoring his request, or trying to, by holding on to his war photos. I’d like to think that they tell the story he wanted them to tell: that war isn’t pleasant to look at. War wrenches the heart. It accentuates our humanity. And destroys it. To find out about upcoming Globe events, sign up for the events newsletter by visiting globe.com/events.